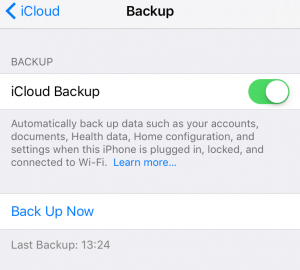 Some users have reported that they are unable to make backups with iCloud. Users have stated that they are receiving an error about files being unavailable. More specifically iOS users claim that they see an alert message saying “some files were unavailable during the last backup”. Using iCloud as a backup location, Apple’s cloud storage service, is a great idea. 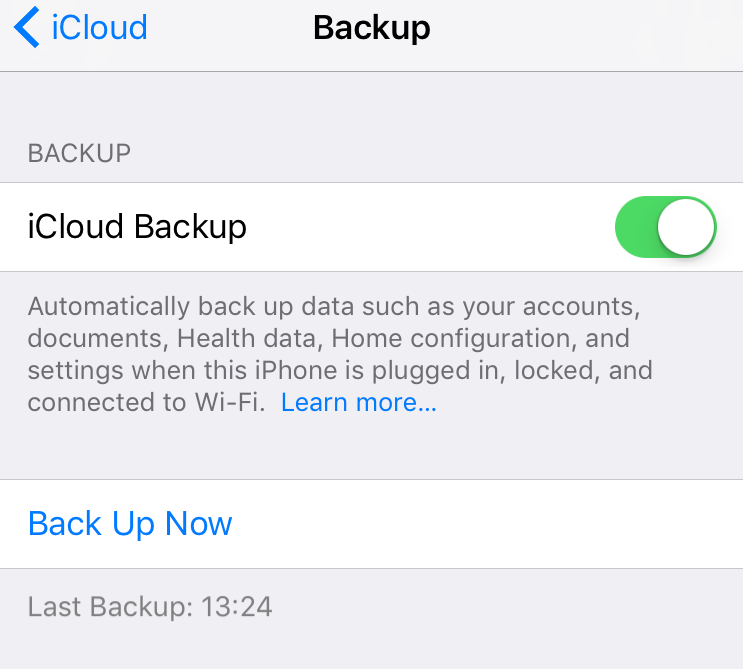 iCloud lets you back up your device easily and wirelessly via a Wi-Fi network so that you do not have to use manual backups using iTunes. Automatic backups occur when your iOS device is locked and connected to a power source and a Wi-Fi network. All you need to do is to turn on iCloud Backup by going to Settings > iCloud > Backup. This error message may also indicate that some app is running continuously. Kill all apps running in the background. Simply double press the Home button and swipe up on all of the apps. If you want, you can use multiple finger to make things faster. “Some files were unavailable during the last backup” may mean that your connection was lost temporarily for a short time on your last iCloud backup. If this is the issue, first back up your device using iTunes (see above) then use iCloud. Delete your last backup then try again. If you are unable to delete old backups, that can be fixed easily. Force restart your device (simply press and hold the Home and power -sleep/wake- button together until you see the Apple logo) and try again. Make sure that your have enough iCloud storage. You can manage your storage by going to Settings > iCloud > Storage. If you are having this problem, you can free up space by deleting old backups, photos/videos and files. Go to Settings > iCloud. Tap your Apple ID and sign in to iCloud. Go to Settings > iCloud > then scroll down and tap Sing Out of iCloud. Wait a few minutes and sing back in again then try again. Remove network settings. To do this go to Settings > General > Reset > Reset Network Settings. Note that this action will remove your network settings such as your Wi-Fi passwords etc. Make sure that your iPhone or iPad is up to date. You can check this by going to Settings > General > Software Update. deleting the prevous iCloud backup fixed the problem. What if I don;t have another back up? Restarting the phone worked ! Tried a million things and deleting the last back up worked! So relieved. Thanks. Signing out and sign in Icloud solve my problem after a long time. THANK YOU!!!!!! Signing out and signing back into icloud solved it for me too – I have been trying for WEEKS and though it was just a wifi issue as I am on sat net so tried various places but nothing. Was a bit scary signing out then in again as the messages make you feel like you are losing stuff but it was ok. Then too 10hrs to back up to icloud for me (60gb on a sat net connection) but it is DONE! I never backed up my iphone so no need to delete any pervious backup. I signed out and back in to icloud and restarted my phone, plus i have the 200 GB storage (which is WAY enough). Still didnt work! Its frustrating and annoying! i tried the above steps and still doesn’t work. My phone keep shows “backing up….”, & “estimating time remaining….”, please advise what to do. Just like everyone else deleting the last backup and disabling the backup service, then re-enabling it and taking a new backup worked for me. Worked after disabling and re-enabling iCloud Backup. Signing out and sign in Icloud solve my problem. Thank you!! !